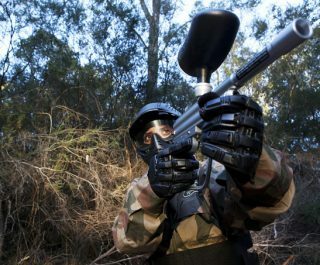 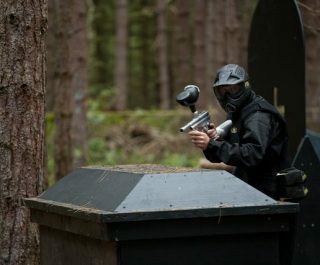 If you live in or around North West London, Hertfordshire or St Albans then the Hemel Hempstead paintball centre near Aylesbury is the ideal location for your paintballing day. 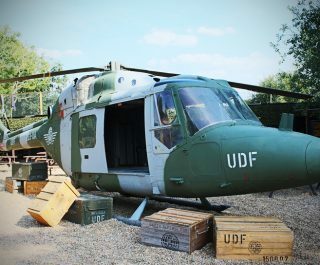 The centre is set within the stunning Hertfordshire hills on the site of a restored WW2 era US Airforce base. 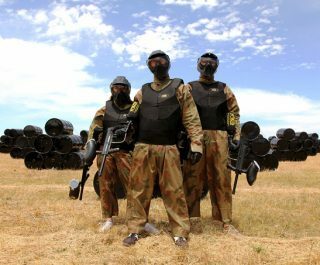 As you can imagine, there is a stark contrast between the military setting and the countryside – especially when you catch sight of the giant 40ft tall scud missile launcher in the basecamp – which is perfect for photo opportunities while paintballing. 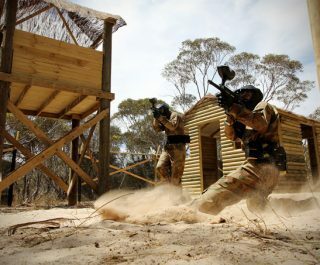 The centre has also made much use of the former airbase’s infrastructure, incorporating much of it into the basecamp and the 8 paintball game zones, giving it a unique and realistic feel. 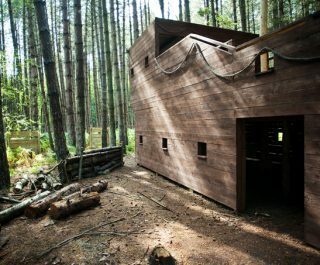 You will also appreciate the convenience of unlimited parking for guests on the Heathrow Airport sized main runaway. 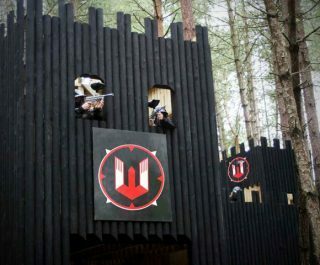 Whilst you are at the centre be sure to check out the replica Black Hawk helicopter featured in the appropriately titled Black Hawk Down gamezone – a popular attraction for guests.